The NYC Bootstrappers Breakfast is back… with new moderators to help facilitate serious conversations about starting and growing a business. In a city that has overtaken San Francisco as the most highly-funded region in the U.S., we saw an opportunity to provide a space for entrepreneurs and small business owners looking to grow a business based on internal cash flow and organic profit. 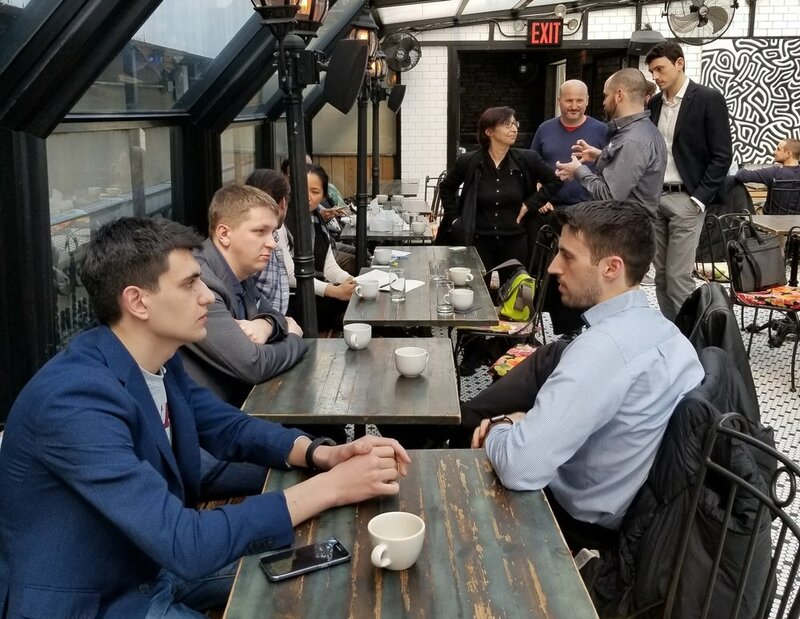 Thanks to our friend Alex Portera, Co-Founder of Nowhere Men Media and NYC resident, here are a few quick and valuable points that were brought up over coffee at the inaugural NYC Bootstrappers Breakfast comeback. Tip 1: As entrepreneurs, we need to outsource things we do not excel at as soon as we can. Use sites like UpWork to find and hire talent, just make sure you are specific about what you’re looking for. Tip 2: If you're looking to find or hire a business partner, getting out and networking is your best bet. But you can also use tools like Facebook Groups and LinkedIn. Pro-tip: Do not use job hunting sites for manager positions and above, and avoid hiring friends and family. Tip 3: Mike’s been using LinkedIn videos to share leadership lessons and increase brand awareness and has seen incredible engagement doing so. Start recording videos! Your audience will be more responsive to it than any other type of content you put out. Be smart about where you host your video, as location can greatly increase engagement. Tip 4: Follow the 80% rule: when it's 80% finished, it's 100% finished. Never wait for anything to be perfect because it never will be. Tip 5: Maintain a CRM and setting up reminders to make sure you're following up is one of the best ways to get ahead. You have MAX of 3 weeks to follow up with someone you were introduced to or met at a networking event, but it's better to follow up immediately. Tip 6: Use whatever advantages you have at your disposal, whether those are identity-based (race, gender, life experience), network-based (alumni networks, accelerators), or something else. Don't hold anything back. Tip 7: To get the most out of Bootstrappers Breakfast, keep showing up. The community will give back if you put in the time and effort. NYC Bootstrappers Breakfast will be held every third Friday of the month and hosted by Mike Krupit, Bonnie Halper of Startup One Stop, and the fine people at KettleSpace. The next one is May 22nd at Hotel Chantelle at 8:30 am. Come join the conversation! Register here.